Pune, India - January 11, 2019 /MarketersMedia/ — Versatile Spray Adhesives find a wide range of applications offering a rapid, strong bond with the lesser curing time. These adhesives also provide resistance from heat and moisture and are suitable for a broad application scope such as building & construction, automotive, paper & packaging, leather & footwear, and others. Other application areas include foam, plastic, carpets, and assembly areas. As a result, the Spray Adhesive Market enjoys healthy growth, worldwide. The North American Spray Adhesive Market is emerging as the fastest growing market accounting for a substantial market share on the global platform. 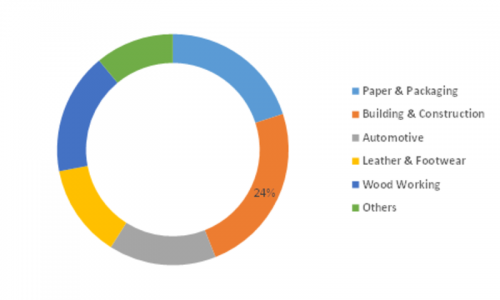 Factors such as the increased consumption of this adhesive in various industries including paper packaging substantiate the market growth in the region. Furthermore, the resurging industrial sector coupled with escalating investments to revitalize building & construction sector drive the market growth in the region. Countries such as the U.S, Canada, and Mexico account for the major contributors to the growth of the regional market.